The summer growing season may be drawing to a close, but you can enjoy another crop of your favorite tomatoes, beans, melons, or flowers next year if you save some of this year’s seed. It’s an easy and economical way to share your favorite varieties with gardening friends and neighbors. The key point to remember is that you can only save seeds from open-pollinated varieties. Plants labeled “F1” on the seed packet or tag are not candidates for this process. 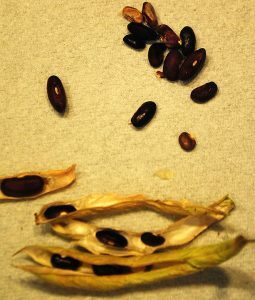 There are two techniques for saving seeds: wet processing and dry processing. Use a wet processing method on tomatoes, cucumbers, and their botanical relatives. 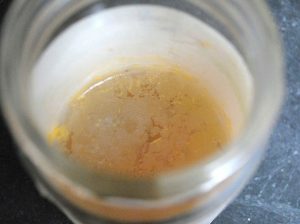 This process removes a germination-inhibiting gel from the seed coat and will accelerate germination of your seed the following season. 1. Allow the fruit to mature on the vine until fully ripe. Collect the fruit, keeping varieties separate (if you grow more than one type of tomato, don’t mix the types during processing). Cut open the fruit and squeeze the pulp and seeds into a clean glass jar. Cover with tap water. 2. 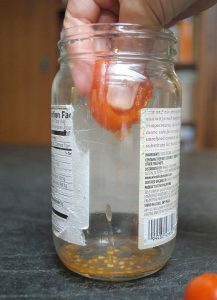 Leave the jar uncovered in a warm place between 72-85 degrees. A kitchen counter is ideal. The mixture will begin to bubble and white mold will begin to form. This is normal, and it doesn’t smell. 3. Stir the mixture twice a day. After 48-72 hours, the process should be complete. 4. 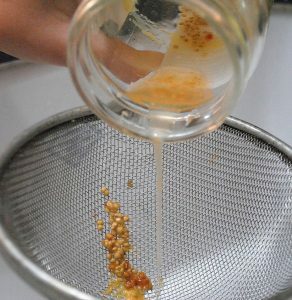 Rinse all the seed in a colander or mesh strainer under running water. Empty the seeds onto a cookie sheet or other shallow, flat plan and spread them in a single layer. Allow them to dry in a place with good air circulation. In damp or humid environments, air conditioning speeds the drying process. Fans may also be used, but do not direct the airflow over the seed tray or the seeds will scatter. 5. Allow the seed to dry for 1-2 weeks. Stirring them occasionally ensures good air circulation. Store your dried seed in a labeled paper envelope in a cool, dry place. The refrigerator is ideal. Dry processing is much easier than wet processing. In its simplest form, it requires allowing the seed pods to form and dry on the plant, then picking them and storing them. Dry processing techniques work on beans and peas, brassicas like cabbage and kale, and most grains. Many flower seeds also can be saved using a dry processing technique. 1. As much as possible, allow the seed pods to dry on the plant. Your seed pods should be yellow, brown, or black in color, depending on the crop. 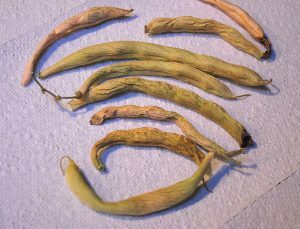 The pods should be dry and brittle, and remove easily from the stalk. For a variety of reasons, your seed crop may not be ready to harvest all at once. Whenever possible, harvest before it rains. If that means picking the seed pods before they are fully dry, bring them indoors to finish drying and ripening. 2. 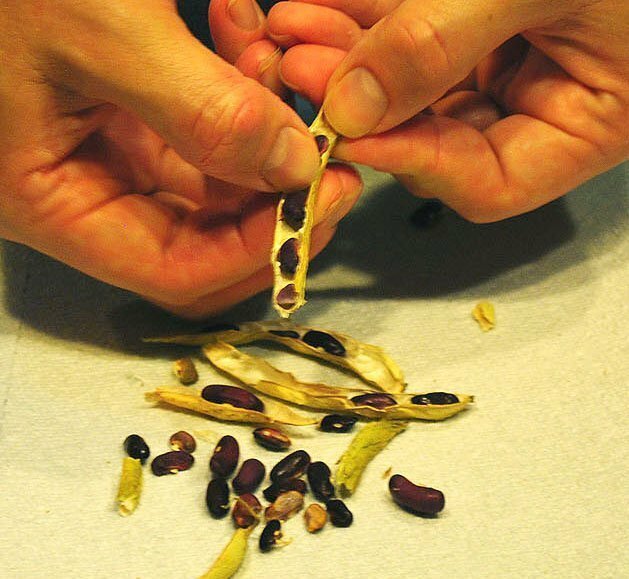 Working over a bowl or tray, crack the seed pods to release the seeds, or rub them between your hands. 3. Clean the seed by sifting it through a series of successively finer-meshed sieves or colanders until you are left with mostly seed and very little debris. 4. Allow the cleaned seed to dry for 1-2 weeks in a thin layer on a cookie sheet or other non-stick surface. 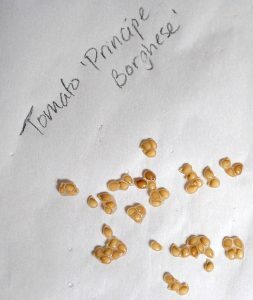 Store the seed in a labeled paper envelope in the refrigerator or in another cool, dry place. Any extra seeds can be taken in clearly labeled envelopes to one of the branches of the Durham Public Library. The library will add them to the Digging Durham Seed Library for next spring.